A little over a week ago 1/3 of the HappeningsCLT team visited Los Angeles. 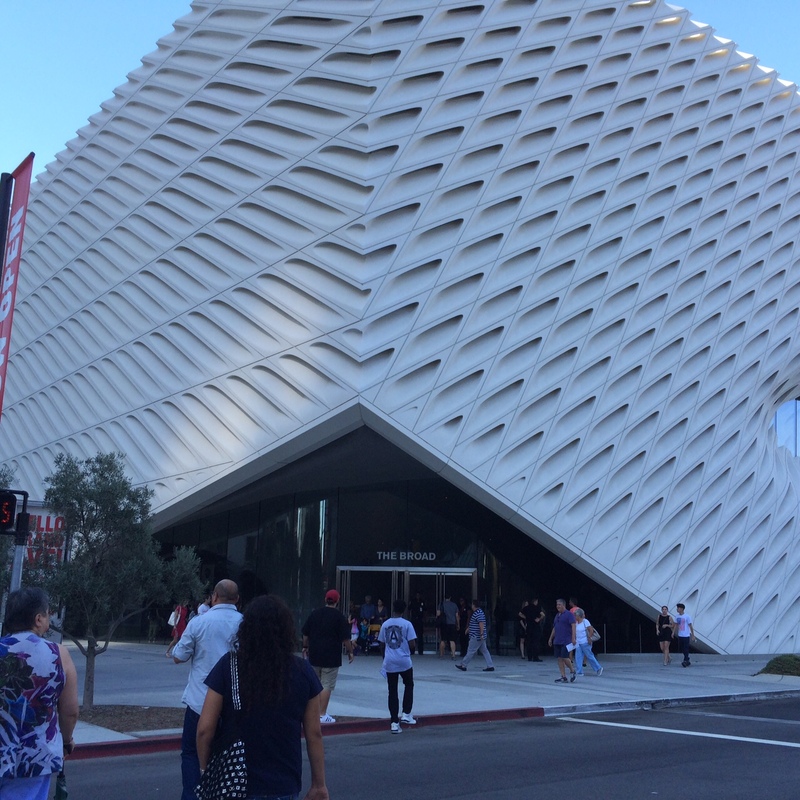 The trip included lots of art, most notably a visit to a brand new museum: The Broad (pronounced like road, with a B in front). The museum was open only about 4 days at the time of my visit. 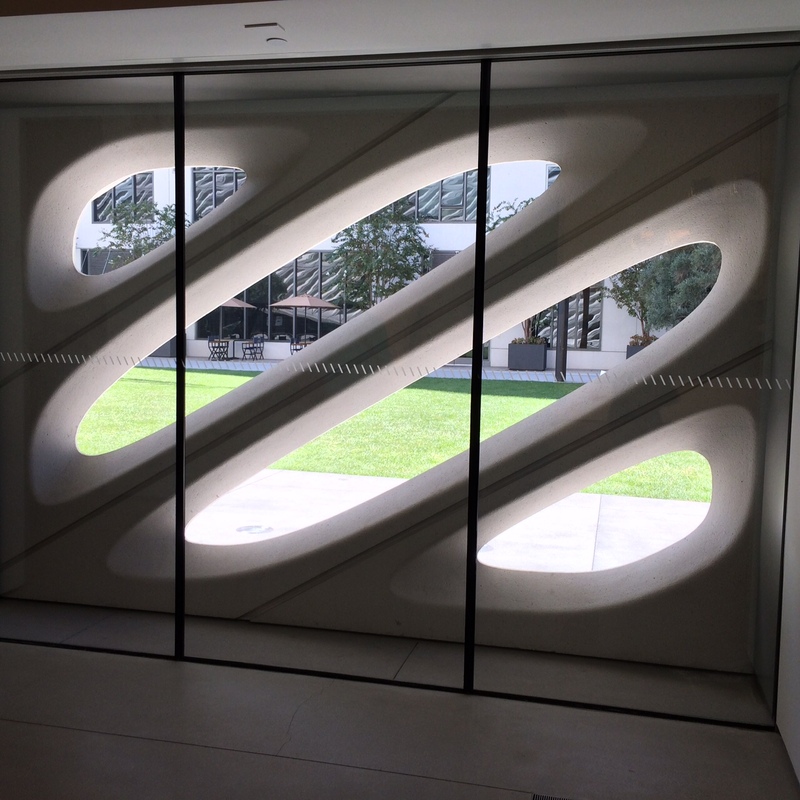 The building is 120,000 square foot and houses the 2,000 object postwar and contemporary art collection of Eli and Edythe Broad. The museum has been quite controversial from the get go, in part because it had been assumed that the Broads would gift their growing collection of art to the Los Angeles County Museum of Art (LACMA). 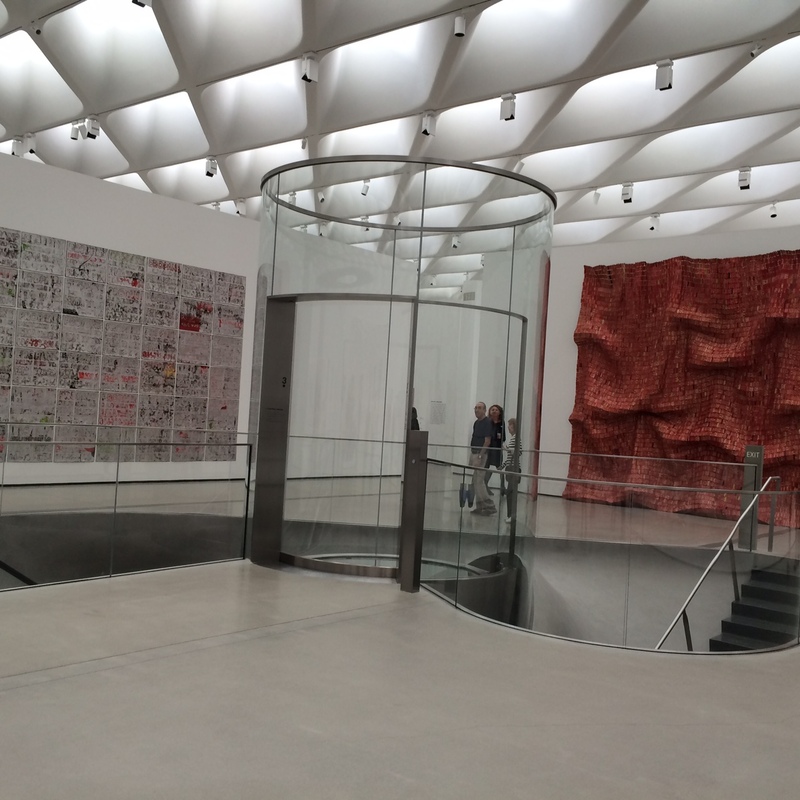 Artworks were loaned to the institution before the Broad’s announced their plans to build their own museum in 2008. 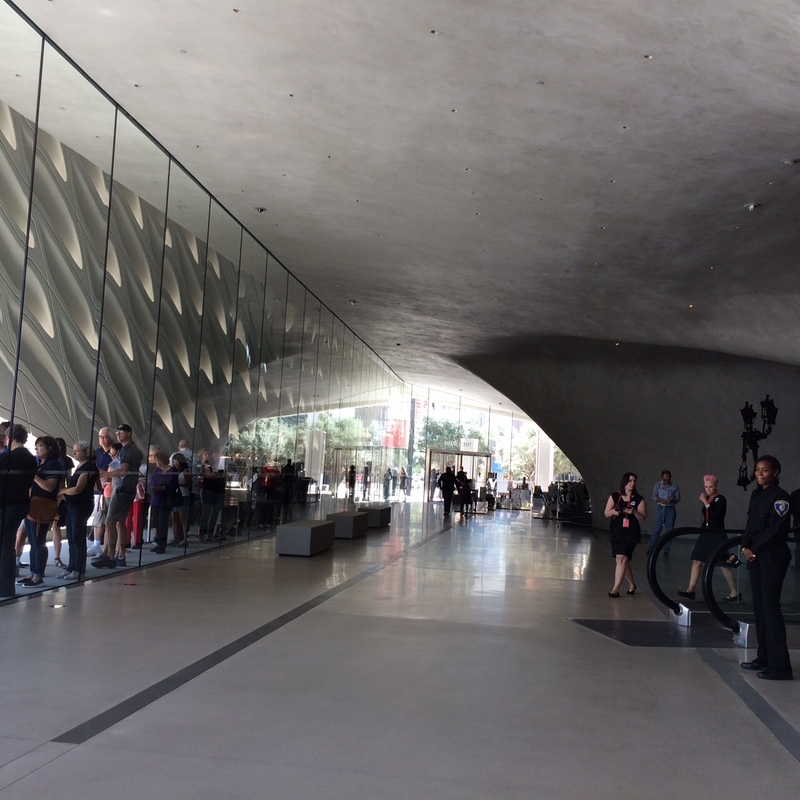 The museum was designed by Diller Scofidio + Renfro. 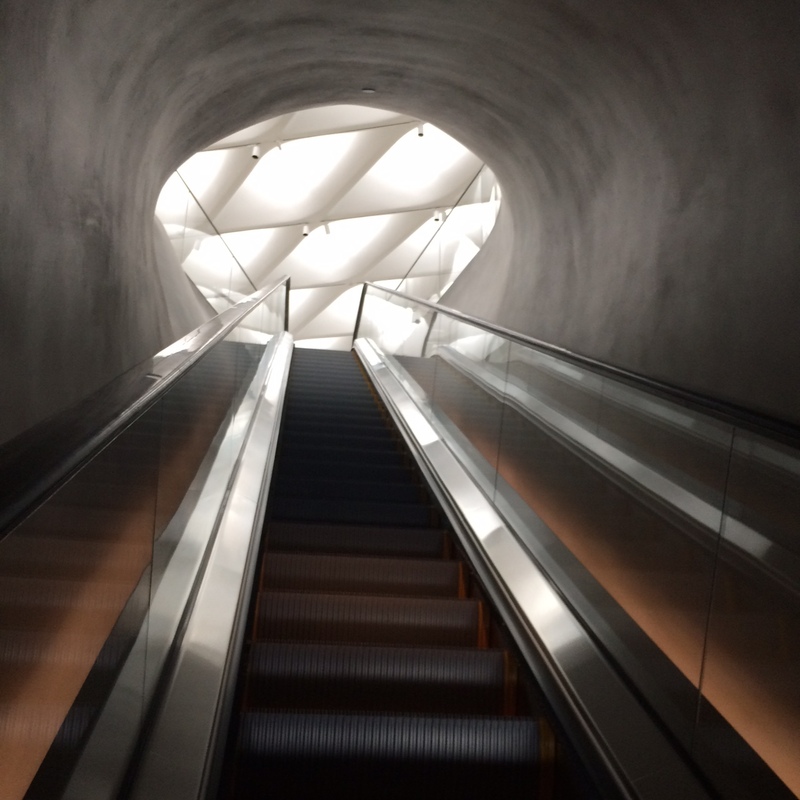 The design features a “vault” and a “veil.” The vault places the museum’s collection in the center of the building in a storage facility, part of which is visible to attendees through two windows in the stairwell. The museum’s exterior “veil” has been referred to as a “honeycomb” design. While the veil lets in lots of natural light, I wonder how atmospheric conditions will impact how one sees the art? Typically, I want the ceiling in galleries and museums to disappear, but I found this one a bit distracting. The architecture is futuristic, which left me wondering: will The Broad stand the test of time, or just feel dated in a few years? The 50,000 square foot exhibition space is currently filled with “greatest hits” of the collection – quite expected when a new museum opens. The exhibition, arranged chronologically rather than thematically, shows both depth and breadth, with rooms that are often dedicated to one artist including John Baldessari, Jean-Michel Basquiat, Joseph Beuys, Jeff Koons,Takashi Murakami, and more. Many women artists are prominently featured, including Kara Walker, Julie Mehretu, Barbara Kruger, Jenny Saville, Cindy Sherman (with 122 pieces in the collection! ), and more. 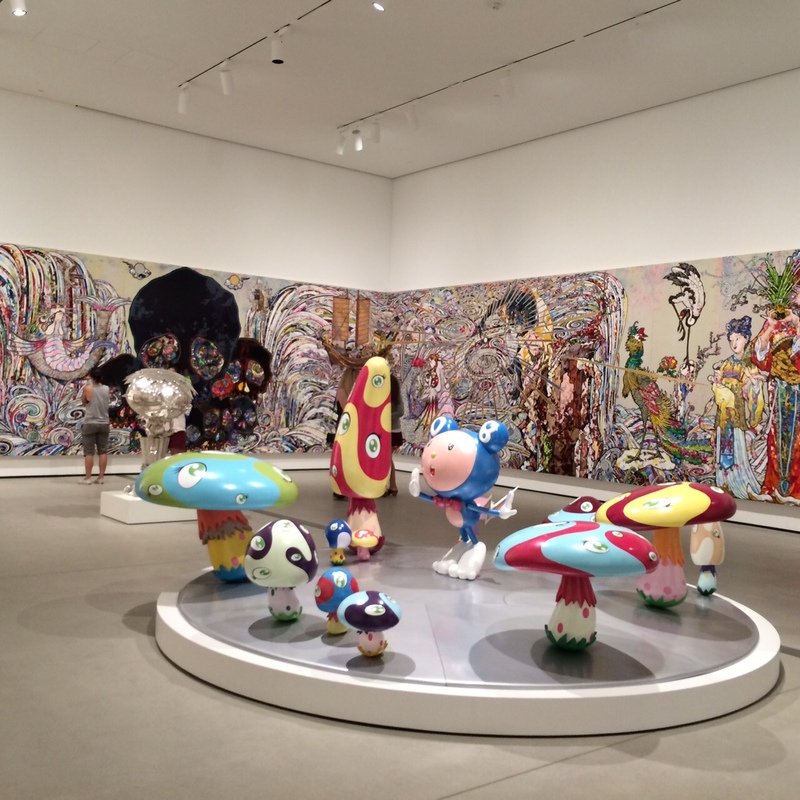 That said, The Broad’s collection is what you expect of a modern/contemporary art museum. If you are a regular attendee of art museums and galleries you have probably seen most of this work before – or certainly works by these artists. 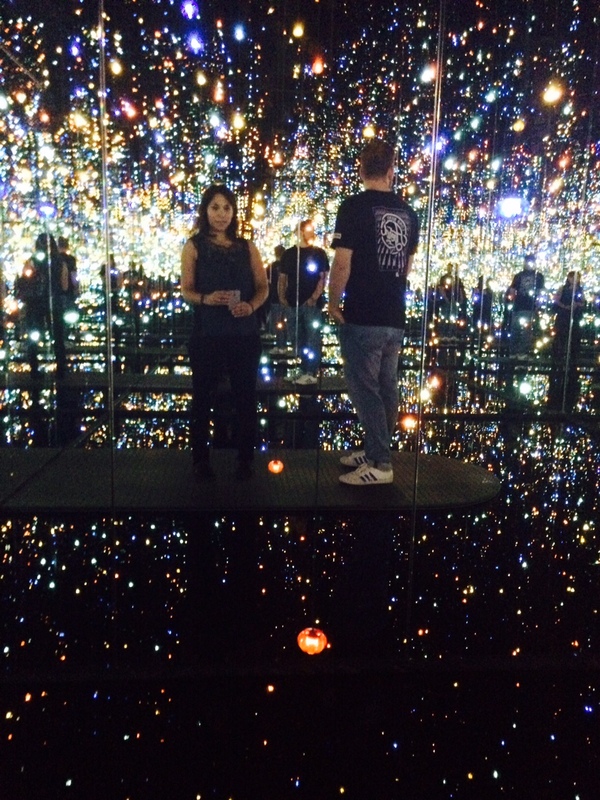 The highlight for me, hands down, was Yayoi Kusama‘s Infinity Room – The Souls of Millions of Light Years Away. a chamber filled with LED lights, mirrors, and water. Visitors enter in small groups (just with those in your party) to enjoy this amazing experiential work by the Japanese artist and writer. Just wow. That’s all I can say. 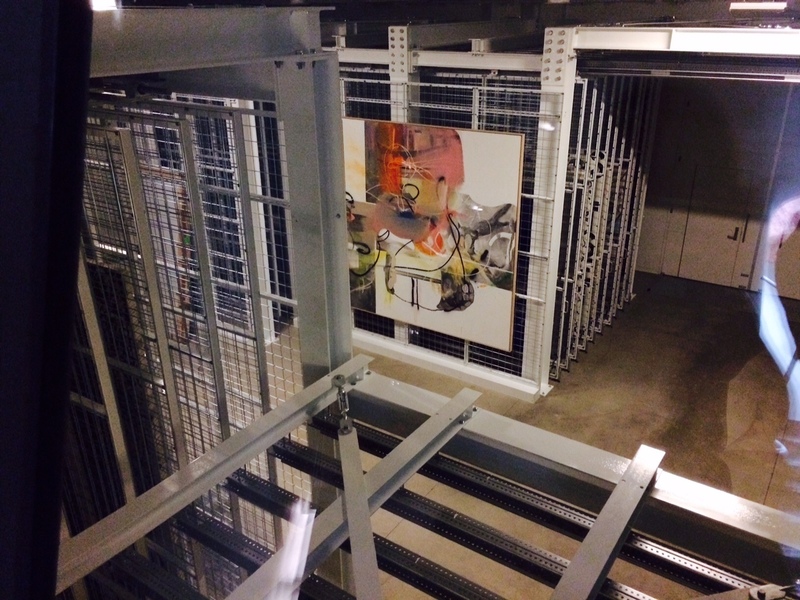 We look forward to seeing what the curatorial staff will do beyond this inaugural exhibition.